What's ahead for The Happy Kitchen in 2016? 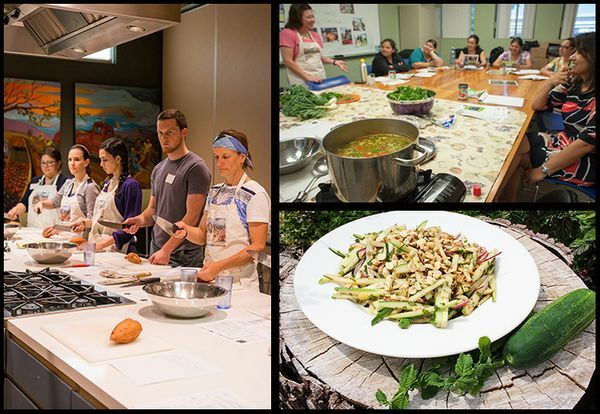 Community classes: Our classes provide Central Texas communities in need with cooking and nutrition education. New and noteworthy in 2016 is our first free six-week series to be held in Elgin, TX in partnership with H-E-B and Methodist Healthcare Ministries. Public classes: Our for-fee classes let you give back while you learn healthy cooking and DIY home processing skills like canning, fermentation and pickling. Proceeds from these classes offset the costs of our free classes. Coming up this winter is a 3-part series on butchery for the Home Cook. Ongoing Outreach & Support: Our on-site kitchen is the source of numerous outreach and support initiatives, both within SFC and other groups. In 2016, The Happy Kitchen’s Cooking Club will expand to start a second club for Spanish speakers. Ongoing kitchen renters include a monthly men’s cooking club and a weekly meal sharing/donation service group. Cookbook: Last year, The Happy Kitchen’s cookbook, Fresh, Seasonal Recipes, has sold over 900 copies! In Spring 2016 we will work on updating the recipes and book. Follow us on social media for updates on this project.